Ladies, has it been a tough month or what? Chocolate has been on the mind lately. I think I've reached for a bar nearly every day (a dentist appointment definitely needs to be made right about now), and the end of my Cadbury's Fruit & Nut stash has arrived. Which means *cough cough* if there are any lovely family members reading this who would like to do a trade-off, please let me know. I can't live on these yuck American versions of the bar! Typically, I steer away from chocolate scented beauty products, as they tend to smell more of a scratch 'n sniff sticker than they do an authentic cocoa treat. Well, I've found something different--and oh is it tasty! 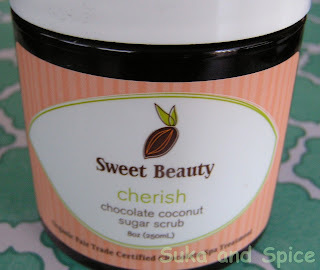 Sweet Beauty is an organic chocolate spa treatment line. They use organic Theo chocolate (which is a favorite of mine--local, too! ), as the base of all of their products. But that's not all. 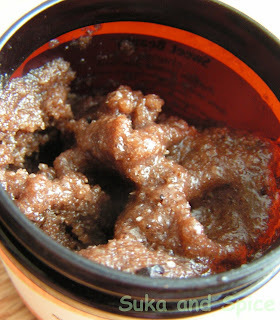 In the Cherish Sugar Scrub, you'll discover chocolate, coconut creme, and cane sugar. It's not the most appetizing site, but the smell is divine. It smells like something you'd want to stuff in your mouth--and I'd be lying if I were to say I haven't tried a little bit in the shower. So yes, it is edible (and good at that)! It ain't all sweets though--there's a lot of scrubbing goodness that comes from this guy. But to be totally honest, since it leaves you feeling as though you've jumped in a mud bath of chocolate, I guess that's neither here nor there. Anything from the line would be a fantastic gift, as they all smell exactly as they are described. With the 10% off promo that the site is running, now is a great time to get those last minute orders in for the holidays! As many of you can attest to, it's difficult to avoid the shopping temptation when there are such great blogs circulating in the online beauty world. 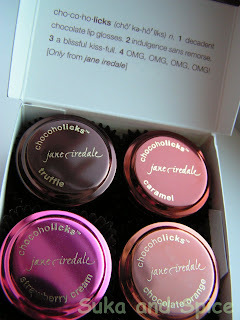 Both Su-pah (Treasure Trove of Makeup), and Tali (The Gloss Goss) got me hip to the Jane Iredale Chocoholicks lipgloss collection. Four little pots of chocolate inspired goodness, nestled into Reese's peanut butter cup-like wrappers. You get truffle, caramel, strawberry cream, and chocolate orange. 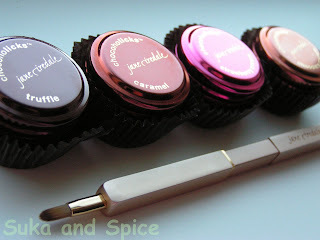 I was a bit leary (although I'm a huge fan of the Iredale line in general), and wasn't sure that I wanted to dip my finger into a brown-tinted pot each time I reapplied the product. No need to fear, as I was given a complimentary retractable lip brush with purchase. This tool alone, could have made me buy anything else that was stored in a pot. It's genius! I know that this is the typical route for many people who don't like to repeatedly stick their finger into a lip product--but it just happens to be a small detail that I tend to overlook. 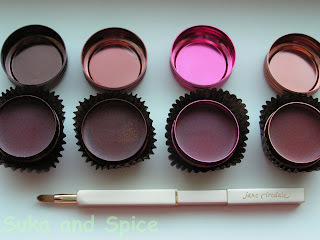 The shades are all just brown yet sheer enough, but each have a slight bit of shimmer to them. I like them especially for the fact that they come out so nicely on a brown girl like myself. The "barely there" lip that is similar to that of a concealer stick, is so 1999. 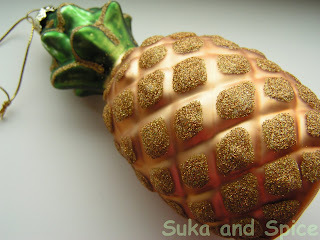 Pineapples are such a huge part of the island diet. My ma still manages to search out ones that are perfectly sweet and ripe, even in this 20 degree weather! I don't know how she does it--it's as though it is a part of her genetic makeup, to be able to locate and serve us tropical fruit year-round. Are you a fan of chocolate? What do you turn to when the going gets tough? those lip tins are adorable! It's nice to see that it comes with a real life lip brushes. I hate how some of them come with tiny or un-retractable ones. @ladyb: mmm a souffle... a midnight souffle wouldn't be so bad right now? the brush is really nice and non-messy. it feels so luxurious dipping it into the pot 'o gloss! I have to confess that as much as I love the smell of cocoa, I'm not very fond of chocolate as of late... Somehow I don't feel like having it. But I know the time will come when I'll just about devour the whole bar! Those lip goodies and scrub look so delectable! If I'm doing a potted gloss, a lip brush is mandatory... Potted balm, I'll just use my knuckle. oh man! I am SOOO with you on the foreign Cadbury! I hoard it every time I am in Europe or India, or have a stopover and can manage to find a duty free shop that sells the good stuff. American Cadbury just doesn't cut it. My fave is the Macadamia nut and I love Flake. Hahaha, laughing at Tina-mbc's comment! Choc souffle for breakfast, how lavish! @cherries in syrup: i think the packaging is great also--it's all in the packaging! pineapples...i had so many in brasil--if i wasn't eating bananas, i was having pineapple! 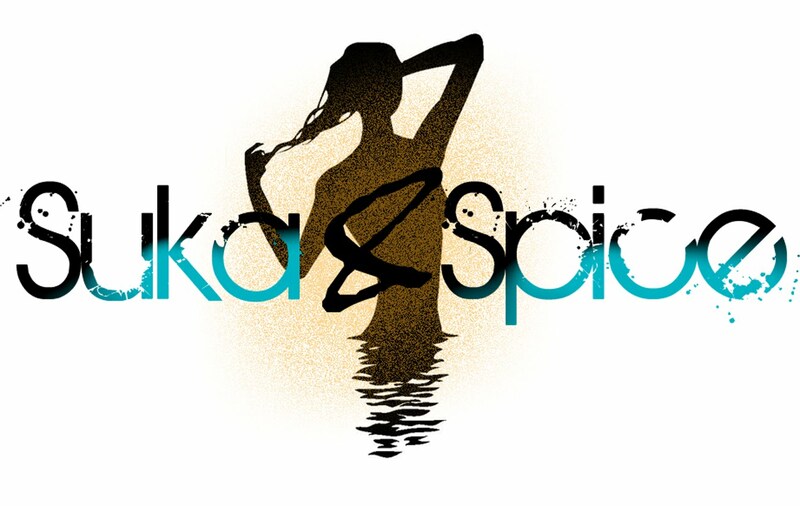 @kajal couture: flake is wayyy up there in my list of favorites. are they better in india too? i heard that over there, they're EVEN better..i didn't know that was possible?! @hi im italia: okay, sounds good. they will be featured on the lip! @nadine: i hope i can effectively make each person who reads this hungry! i'm glad it's working :) as for the lip brush--i know just what you mean. i tell you, i would never use one (even for lipsticks..despite the fact that i have several brushes), as it seemed like such a hassle. but since this one is retractable, and it just sinks into the pot so nicely...well, it's kind of decadent and i actually look forward to it! hmmmmm... all that chocolate made me hungry :D fabulous post entry!!!! @tali: i don't know where it is either? i swear you left one..but now i don't see my response either?! the reddish one...sooo pretty. i'm getting low on the one in the pink tin. i reapply so often!